Just one cup a day of America's favorite fruit, strawberries, benefits the entire body. 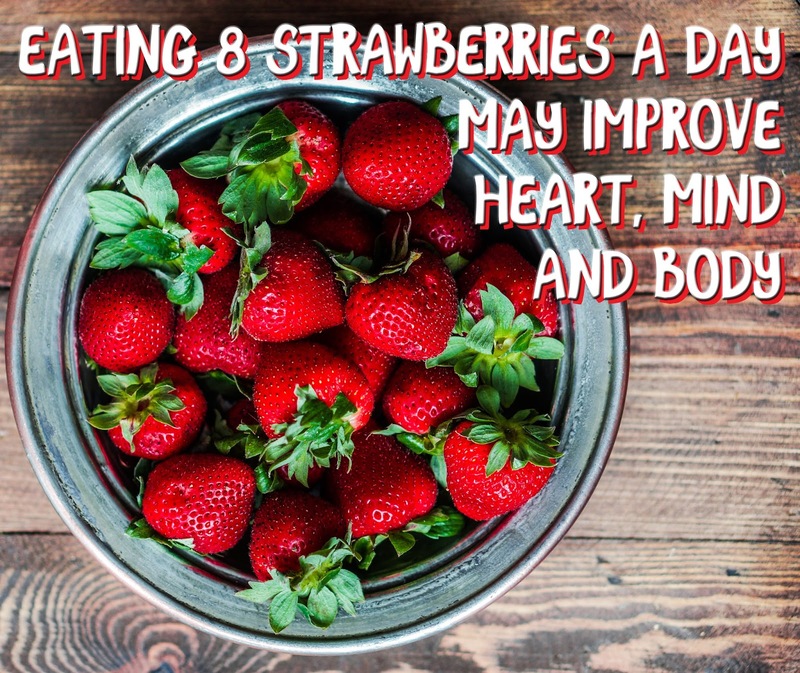 Clinical research suggests that eating just a serving of eight medium strawberries a day may improve heart health, help manage diabetes, support brain health, and reduce the risk of some cancers. The American Diabetes Association identifies berries, including strawberries, as one of the top ten superfoods for a diabetes meal plan because they are low in sugar, packed with vitamins, antioxidants and dietary fiber. When added up, strawberries provide a nutritious "Whole in One" for the entire body. There's nothing more simply sweet or delicious than a strawberry, but most of us don't eat as many as we should, according to experts. Last year, new research indicated that an eating plan called the Mediterranean-DASH Intervention for Neurodegenerative Delay, or "MIND", diet can lower your risk of Alzheimer's disease by more than one third – and the secret was a healthy daily dose of strawberries and blueberries. Since strawberries can play a role in protecting our brains as we age, there's never been a better time to resolve to eat more strawberries than in 2016. For more information on California strawberries, as well as creative and inspiring recipes, please visit http://www.californiastrawberries.com and http://www.heartoffarmers.com/. With so many ways to incorporate strawberries into a healthy diet in 2016, it's easy to make it stick—and reap all the health benefits, too. About California Strawberry CommissionThe California Strawberry Commission is a state government agency located in Northern California charged with conducting research to support California's strawberry industry. With an emphasis on sustainable farming practices, the commission works with strategic partners focusing on production and nutrition research, food safety training and education, marketing and communications, trade relations and public policy. Thank you for sharing this. I just love strawberries and we grow alot in Florida. Just 8? That's so doable! And who doesn't love the taste and the health benefits!